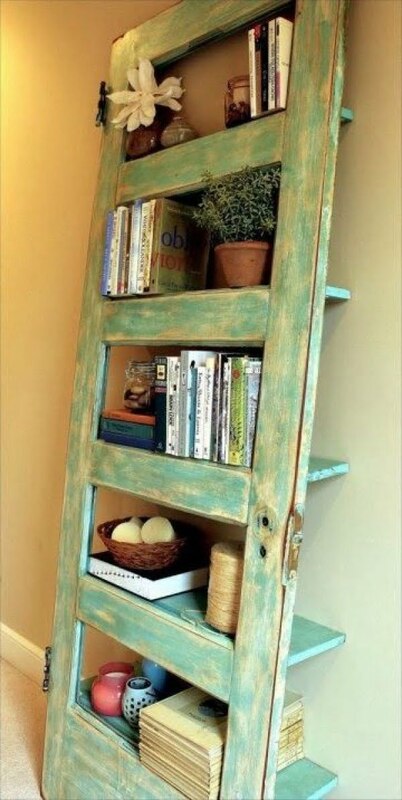 These aren’t just makeovers but complete DIY furniture transformations – repurposing and upcycling an old thing to give it a completely new life. What’s so attractive about transforming a piece of furniture this way is that first, you can do it yourself, and secondly, you can save a lot on a getting a unique piece of furniture for your home. You can choose your style too, from rustic chic to traditional and classic, with as much whimsy and decor statement as you see fit. 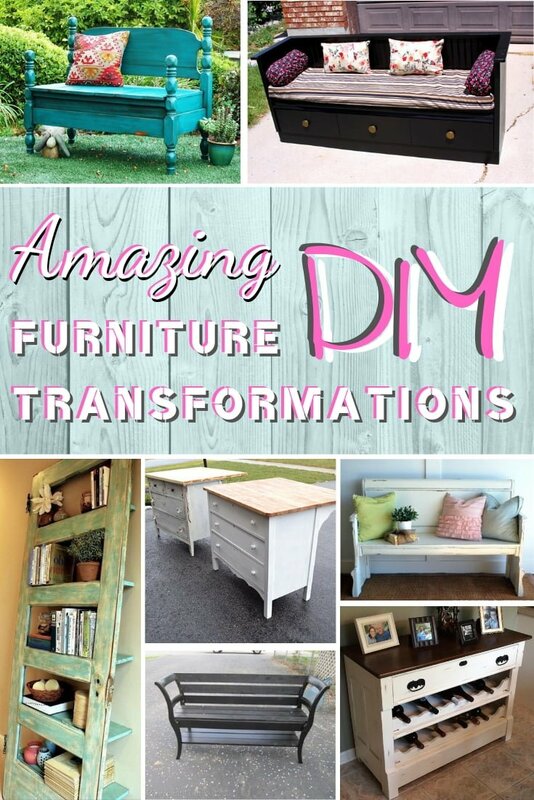 So here are 10 amazing furniture transformations with tutorials for you to try yourself. 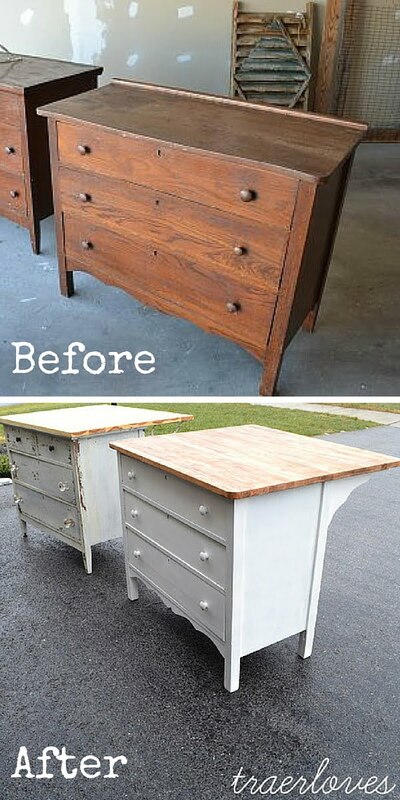 This old dresser has seen its day but once you transform it, you get this wonderful classic DIY bench with storage. 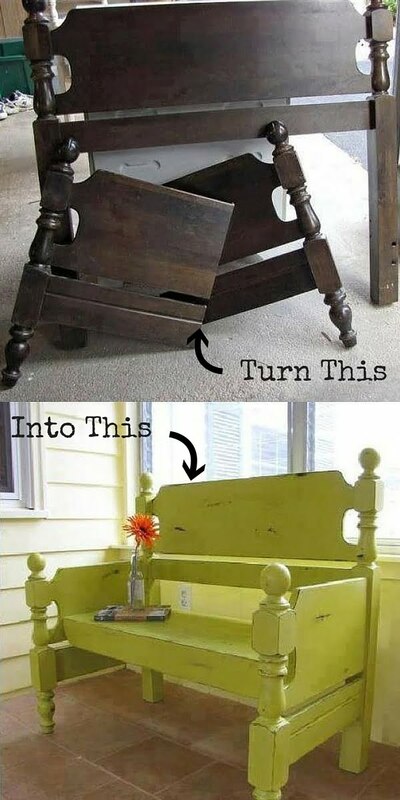 An old bed with a headboard and embellished leg posts makes an attractive bench in just a few easy steps. A dresser makes a great kitchen island with just a few handy modifications. In a need of a bench? Here’s how you can use two chairs to make one. Add some class to your mudroom or entryway by transforming a plain old dresser into an attractive bench. This project will add luxe to your home – make a classic style DIY wine rack from a simple dresser. A couple of old headboards is all it takes to upcycle them into a beautiful bench for your porch. Another great example of the same idea. You may want to retire that old coffee table (especially if has a few stains and scratches too many) and turn it into a beautiful bench. A filing cabinet provides the perfect frame for a storage unit to keep various tools and household items in your garage.